size reduction media to fulfill a host of different requirements for medium fine end product sizes. – Simple grinding structure for easy assembly and dis-assembly. – CIP/SIP compliant model available. – The 100UPZ-c, manufactured specifically for pharmaceutical applications, can be easily disassembled for cleaning and is GMP compliant. 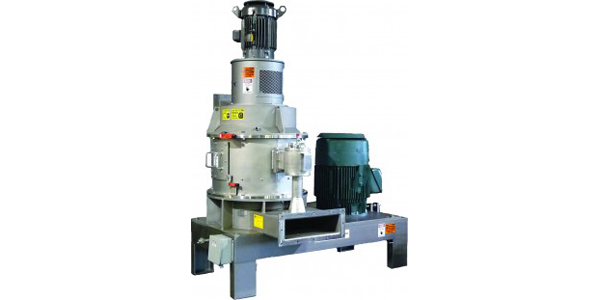 – The wide grinding chamber structure allows generated heat to be discharged efficiently and prevents adhesion buildup. 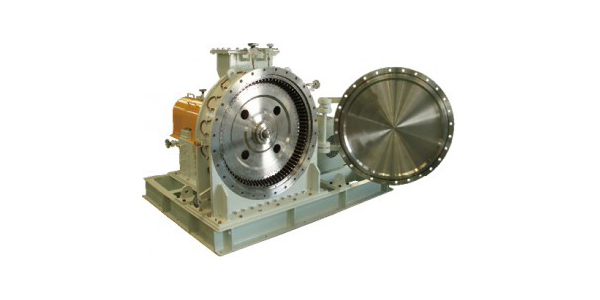 – The high relative speeds generated by the two pin discs allow fine grinding. – The strong impact generated by the pin discs allow an equally ground mixture made up by more than one substance. – Ideal for raw materials with Mohs hardness 3 and lower. product sizes during operation as well. 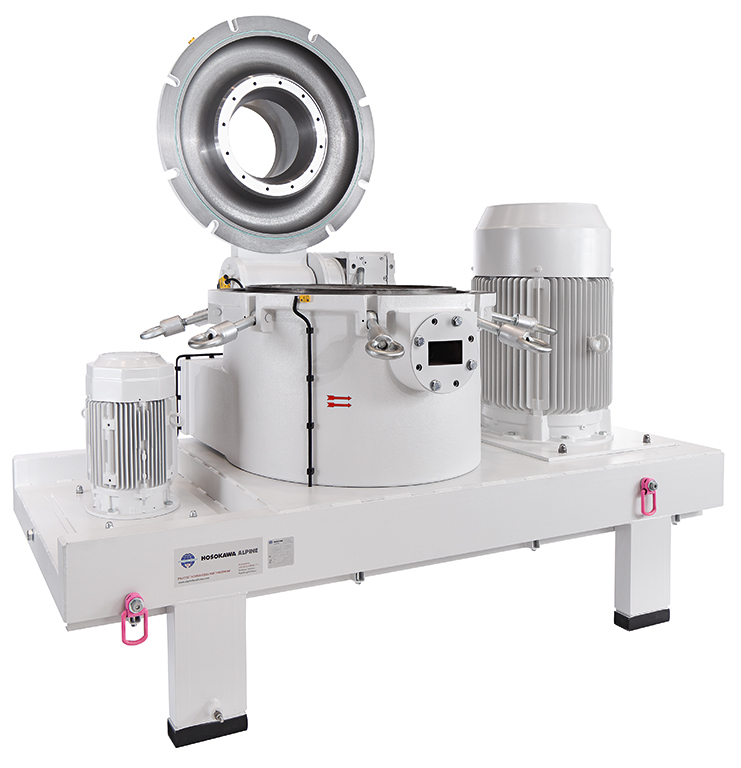 – Effective impact grinding for heat sensitive materials possible. – The ACM-A model can yield products with average particle sizes of 10-100μm, with the high speed (peripheral speed of 130m/s). The ACM-H model produces average product sizes of under 10 μm. 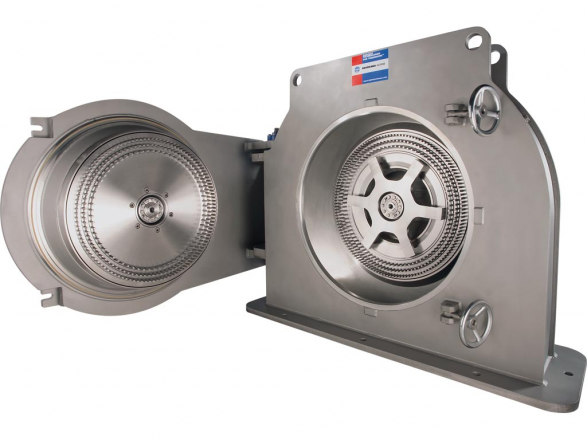 – Beater disc, pin discs, swing beaters and plate beaters, sieves and grinding tracks. – End-product fineness in the range 50 µm to approx. 5 mm in accordance with the grinding equipment installed. – Generously dimensioned mill door for easy cleaning and exchange of grinding elements. 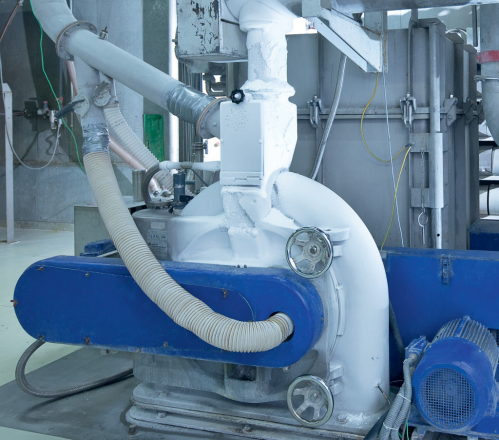 – Continuous operation allows for high capacity milling of a wide range of materials. – Designed for quick disassemble for cleaning and maintenance. – Durable construction for long service life. – AP-B, AP-1, and AP-2 models can be operated on its own by attaching air relief filters, allowing for easy operation. – Different screen options can produce materials down to 45 microns. 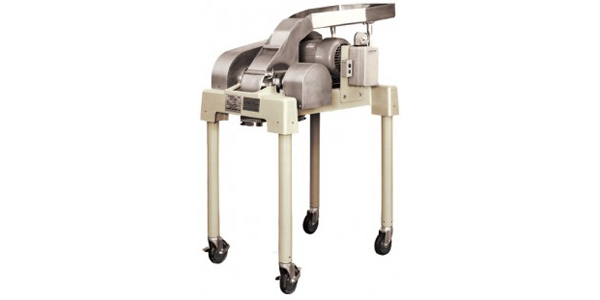 – The Feather Mill is a suitable grinder for a wide variety of materials including heat sensitive ones. 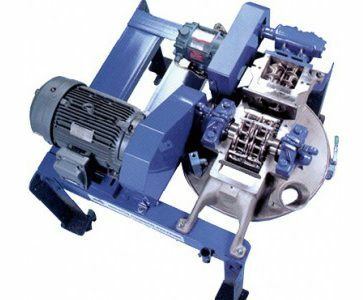 – The pressure loss of the machine is very low, making it easy to incorporate the machine into any process line. – Enhanced model from the ACM for the effective grit reduction in the carbon black. – Recycle grinding of classified material. 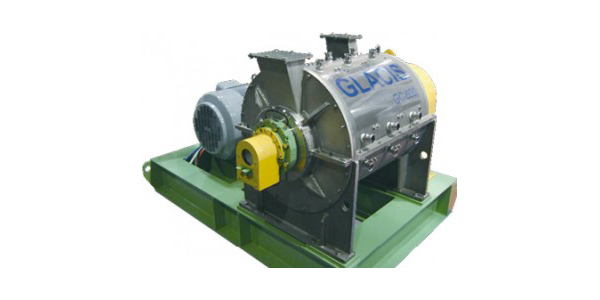 – The grinding unit is normally incorporated into the carbon black process line as an in-line unit. – Due to its short residence time, generations of fines are minimized leading to a sharp and uniform particle distribution. – The area ratio of the liner and screen can be adjusted to best suit the material specifications. – It has a simple structure making maintenance very easy. – Materials that are difficult to grind at normal temperatures can be easily ground. – Can produce particles with high flowability and acute angle shapes. – Deterioration due to heat and oxidization, as well as flavor and aroma loss of foodstuff and spices are prevented. 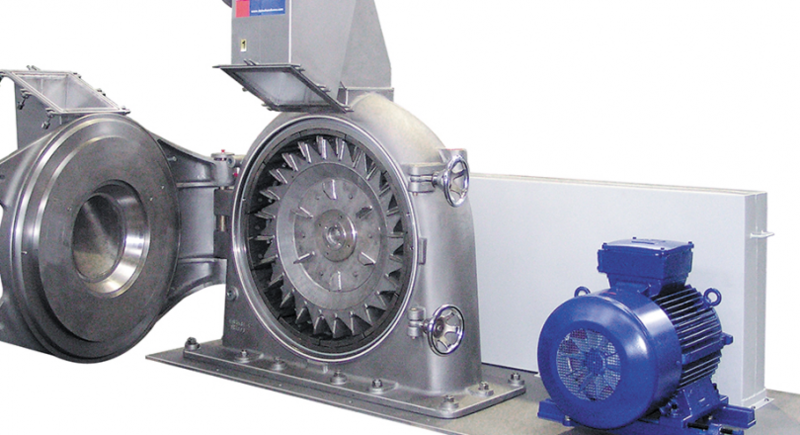 – Can prevent odor, dust explosion, combustion, and noise that are accompanied with grinding. – Suitable for grinding heat-sensitive resins due to its high cooling efficiency. When grinding toner, the Glacis can produce products with the same average particle size (approximately 5μm) as products produced by jet mills. – Compact design of the unit and system. – Production scale test units. 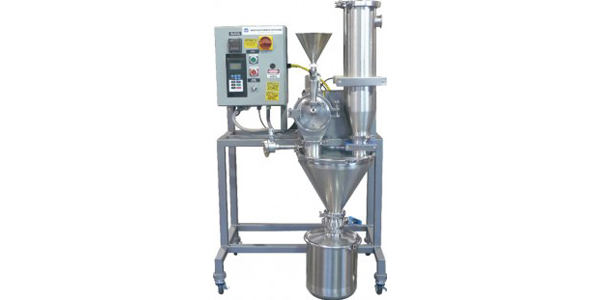 – It is designed to suit the multiple application needs of the pharmaceutical and food industries. 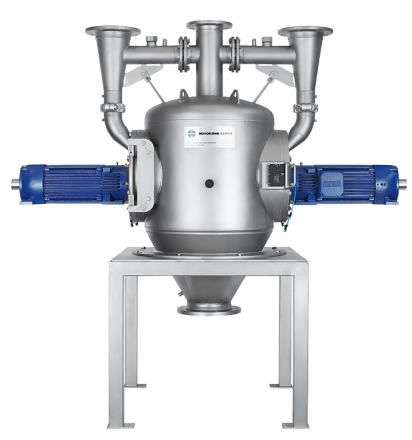 – It can meet the requirements for coarse granulation to ultra fine grinding with particle size distribution control as well. – Operators can quickly change grinding elements for different applications. Pins for ultra-fine grinding, Impact Hammers for fine grinding or Knife rotor for coarse grinding and granulation.